Love, love, love the quote! I was feeling very sad about it all ending, and then I remembered that I can always go back to the books and enter the story again. The same is true for the movies to some extent, but these books will always live for me. They are very special, indeed! Joanna, oh, so do I. Makes me tear up every time. I was kind of broken up after the movie. Thank heavens we have the books. They are the best. Angie, I cried and cried and cried through most of the second half; I cried more in the movie than I did in the book! It was just so good! I think it's probably the best movie adaptation of the eight. I still don't believe that's the final story of Harry. 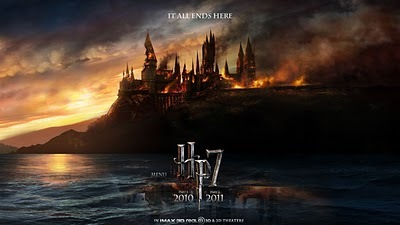 J.K. Rowling will gives us more of Harry sooner or later, at least that's the hope! It won't work in reality, that's exactly what I consider.